This design is 4 inches high and 3 inches wide. It will be custom printed with the name or text of your choice on non-glossy, self-adhesive paper with a peel-off backing. The paper, adhesive, and ink are archival quality and acid-free. Unless otherwise requested, these are printed on cream-colored paper, similar to what is shown here. If you choose brown ink, both the artwork and your text will be printed in brown. Use left/right keyboard arrows to scroll through font samples or click image to view enlarged version. 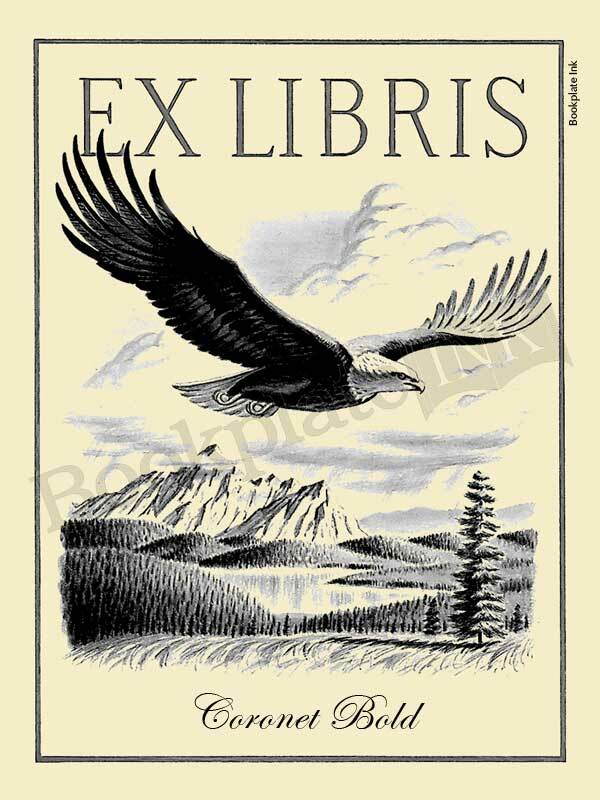 Swipe right on the bookplate image above to view font samples on this design. Turnaround time is currently 3 weeks. Need your order sooner? Choose rush service here. Rush service guarantees the order is shipped within a week (usually a few days).